Daily Escape Games - Abandoned Village Escape is a point and clickescape game developed by DEG. This place is a village and you aretrapped in it. 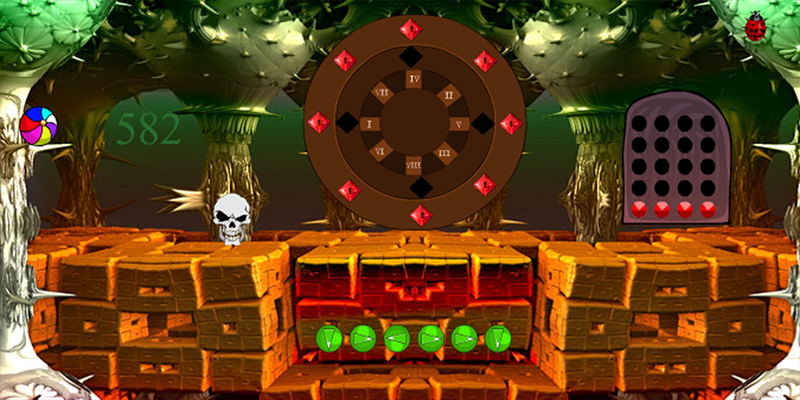 To escape from this place, you need to collect cluesand objects like skulls, ladybugs etc… Good luck…Have fun!! Daily Escape Games - Bird Escape is a point and click escape gamedeveloped by DEG.This place is a forest and you saw a bird lockedinside a cage. To escape the bird from the cage, you need tocollect few clues and commonly used machinery items like stones,leaves and diamonds etc to escape the bird from the cage. Goodluck…Have fun!! Daily Escape Games - The story of this game is to escape from themodern room where you have been locked by some unknown person .youcan escapesoon by using the object kept for solve the simpleclicks.play modern room escape games and have fun! Daily Escape Games - Elephant Cave Escape is a point and clickescape game developed byDEG.This place is a cave and you aretrapped in the elephant farm. To escape from this place, you needto collect clues and objects like onions, tomatoes, insects etc…Good luck…Have fun!! Daily Escape Games - Forest House Escape is a point and clickescape game developed by DEG.This is a forest and you are searchingfor a way to get out from this forest.To exist from this place youneed to collect clues and objects like apples,teddys, and flowersetc..Good luck..have fun!! Daily Escape Games - Cute Dog Escape is a point and click escapegame developed by DEG. Collect the objects you find and completepuzzles with clues. Enjoy playing games at DEG..Good luck !! Havefun !! Save the Patient Escape is a point and click escape game developedby DEG.This place is a hospital a new patient is admitted in thehospital.His Oxygen cylinder is got malfunctioned. To save thepatient, you need to collect clues and objects in the hospital likesyringe, tabletand key to repair the oxygen cylinder to save thepatient. Good luck…Have fun! !